What if we were responsible for creating our own destiny, for fixing our blighted environment and setting the stage for the next generation to live in health and prosperity? How would we improve our communities and clean up polluted earth, water and air? Don't freak out, but...we are overpopulating the world to a severe degree, and urbanization won't save us! This is the view of Kingsley Davis, a pioneer of historical urban demography and world urbanization, in his 1965 Scientific America piece "The Urbanization of the Human Population." He explains that "urbanization" is a term that describes not merely the growth, in population, of cities--but a relative change between the urban and rural (read: farming) population. Thus, just because a city's population is growing does not mean that more people are migrating from the country into cities (urbanization). Davis goes over the history of urbanization in Northwest Europe (urbanization began to support trade and economic production) and the "S-curve" theory of urbanization (urbanization starts off slow and then increases rapidly as economic incentives from prospering city industries continue to increase, and then tapers off as overcowding and the availability of automobiles and other conveniences encourages people to move into suburban areas). Davis also addresses the misplaced anxiety of leaders in underdeveloped nations that a severe rural-urban migration is underway. While it is true that developing countries are becoming urbanized at a slightly faster rate than those of the 19th century (about 5%), the overall growth of their cities can't be predominantly explained by urbanization. ﻿ Rather, absolute population growth via births and increased life expectancy in these countries is causing a steep increase in both urban AND rural populations. This puts countries between a rock and a hard place. Davis states that "If they do not substantially step up the exodous from rural areas, these areas will be swamped with underemployed farmers. If they do step up the exodous, cities will grow at a disasterous rate." His final warning, or thesis statement, is stern: "It seems plain that the only way to stop urban crowding and to solve most of the urban problems besetting both the developed and underdeveloped nations is to reduce the overall rate of population growth...Urban planners continue to treat population growth as something to be planned for, not something to be itself planned." Countries like Indonesia are already battling this severe influx of people into the city of Jakarta. 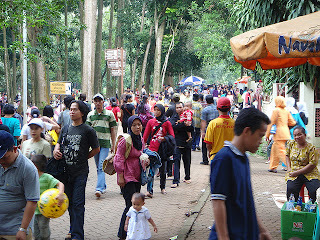 The government recently imposed a "population cap" on the city, limiting Jakarta's residents to 12.5 million by 2030. It is now struggling with how to discourage job seekers from relocating to the city and encourage residents to move out. One concept they're trying to promote includes creating satelite economic zones near Jakarta where enterprise can grow and attract a workforce (and their accompanying family members). Davis would contend that the creation of economic satelite cities does not address the root of the problem, which is Indonesia's strong 1.3% population growth rate (Indonesia's population "...has steadily grown from 18.3 million in 1800 to 40.2 million in 1900, to 205.8 million in 2000"). Some in Indonesia do understand this reality, and have pushed for a reinvigoration of Indonesia's family planning program. This program successfully promoted the slogan "Two children is enough" in the 1970s but has recently become neglected as responsibility for its administration fell from central to municipal government. The costs of high population growth and development in environmental damage and resource depletion, infrastructure burdens, and rising congestion. At this time, it seems that the results of the review will not lead to much more than an effort to regularly monitor the effects of a growing population on Australia's water, biodiversity & habitat, climate change, urban encroachment, housing availability, etc. Though NPG supports stronger immigration controls in the US and Australia, this view only presents a piecemeal, rather than wholistic solution to global population growth. 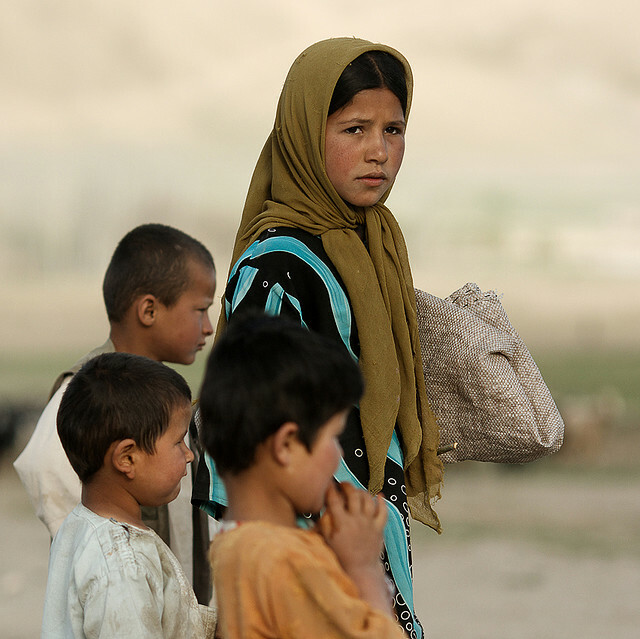 Woman and boys in Afghanistan. Photo by maiaibing2000. In many countries, population control via promotion of birth control invokes the challenges of patriarchy and religion. While the government of Afghanistan recognizes the negative economic effects of population growth in their country, recent efforts to encourage the use of birth control prompt concern over who must be convinced. In a country where women have to ask for permission to simply leave the house, it is crucial to involve men in the discussion. Additionally, religious teachings often discourage use of contraceptives--finding more moderate religious leaders to support the program will be crucial. The United Nations Population Fund (UNFPA) hits the nail on the head: "The most effective way to slow rates of urban growth is to reduce unwanted fertility in both rural and urban areas. Lowering poverty, empowering women and providing quality reproductive health services all influence fertility preferences and ability to meet them." Clearly, Davis' warning that population growth will swamp our cities and countrysides alike is as important today as it ever was. The challenge is determining what programs, regulations or incentives will prove to be appropriate to the diverse geographic, cultural, economic and religious parameters around the world. Renew Cities strives to celebrate and spread innovative ideas for the environmental, economic and social revival of our world's cities. About the author: Waverly de Bruijn Klaw, AICP, is a Planner with the State of Colorado Department of Local Affairs, where she works with communities to identify, develop, and adopt land use strategies that increase their resilience. Prior to working at the Department of Local Affairs, Waverly managed programs at national and international non-profit organizations in areas of river and watershed protection and global weapons disarmament. Waverly holds a Master's degree in Urban and Regional Planning from the University of Colorado Denver.